In Management, BESS includes actions related to early consideration of ESD, such as a pre-application meeting with Council and early thermal performance modelling. BESS also includes actions related to ongoing monitoring, including metering and sub-metering strategies. And finallly, BESS includes an action that a Building Users' Guide be prepared to assist future building users to understand and operate their new building in the most efficient way. To ensure appropriate sustainable design principles and strategies are considered from the preliminary design stage of each development by encouraging early involvement of a suitably qualified ESD professional. Points are awarded where the project design team includes suitably qualified ESD professionals to provide sustainable design advice from preliminary design through to construction, AND the ESD professional has been involved in a pre-application meeting with Council. A ‘suitably qualified’ ESD professional may hold a degree in architecture, engineering or another suitable discipline, and have either additional ESD qualifications or demonstrated ESD experience with built environment projects. Name and qualification of ESD professional(s) engaged. Record of attendance at pre-application meeting. Provide date of the meeting and list of attendees. Points are awarded where it is demonstrated that the dwelling meets or exceeds the minimum required BCA star rating utilising a NatHERS accredited thermal performance model. Use building documentation and initial building fabric assumptions to undertake a thermal performance model, demonstrating that the building meets or exceeds the 6 star minimum energy rating requirement. Note this credit is awarded for undertaking this early modelling. Demonstrating improvement above the Building Code of Australia requirements is awarded points in the Energy category. Documentation is to include a summary of the building fabric assumptions. Points are awarded where, utilising a NatHERS accredited thermal performance model, it is demonstrated that the development meets or exceeds the BCA 6 star average and that no unit falls below the 5 star minimum rating requirement. Use building documentation and initial building fabric assumptions to undertake a thermal performance model, demonstrating that the building meets or exceeds the 6 star average and 5 star minimum energy rating requirement. Documentation that demonstrates that a minimum 6 star energy efficiency standard has been achieved or exceeded for a representative sample of dwellings including thermally similar dwellings. If dwellings have been input as thermally similar groups, a site plan or similar drawing should be provided showing which dwellings have been grouped together. Refer to the Overview section in Toolnotes for more information about dwelling grouping. To encourage and recognise developments that use thermal modelling to inform passive design at the early design stage. Points are awarded where it is demonstrated that minimum BCA Section J requirements have been met or exceeded using a preliminary JV3 (see below) model and/or preliminary Deemed-to-Satisfy requirements (DTS) (see below). Undertake a preliminary JV3 model and/or undertake completion of preliminary DTS assessment including glazing calculator. JV3 energy simulations may be more appropriate on larger or more complex buildings. Note this credit is awarded for undertaking this early modelling / investigation. Modelling results that show an improvement on the Building Code of Australia are awarded points in the Energy category. Documentation, such as a JV3 report (including assumptions) and/or a preliminary Deemed-To-Satisfy assessment including glazing calculator that demonstrates that the minimum standards have been achieved or exceeded. Points are awarded where it is demonstrated that utility meters (electricity, water & gas if applicable) will be provided for all individual dwellings. A commitment to individual dwelling metering of energy and water. Applicants are also encouraged to consider additional strategies such as the installation of in-home energy displays. Points are awarded where it is demonstrated that utility meters (electricity, water & gas if applicable) will be provided for all individual commercial tenancies. Using the building plans, identify and list all anticipated tenancies. Use this information to develop an appropriate metering and sub-metering strategy. A commitment to individual metering of energy and water based on an analysis of individual tenancies. All multi-residential and non-residential development. To provide building users with information that allows monitoring of energy and water. Points are awarded where it is demonstrated that utility sub-meters will be provided to all major common area services. Using the building plans, identify and list all anticipated major common area water and energy uses. Use this information to develop an appropriate sub-metering strategy. Ensure that meters are located in areas which are easy to access to facilitate regular monitoring. For example, plant rooms, main distribution room or control room etc. A commitment to metering energy and water based on an analysis of the anticipated major common area uses. Applicants are encouraged to consider additional strategies such as the inclusion of an building management system to give users detailed information about the energy and water use across the development. To encourage and recognise initiatives that will help building users to use the building more efficiently. Points are awarded where a Building Users’ Guide is developed for use by occupants and building maintenance. Review your building design and ESD commitments to identify the main sustainable design initiatives, systems and processes that building users will interact with. Collate and present information that covers the function and use of the building, using non-technical language targeted to building occupants, and where required, to Building Managers. The Building Users' Guide may be a simple booklet and/or a combination of interpretative signage throughout the building that helps facilitate more sustainable behaviour by building occupants. A commitment to producing and issuing a Building Users’ Guide. Note that a Building Users’ Guide does not need to be produced prior to permit, but checking that this commitment has been fulfilled will form part of any planning enforcement check. The average Melbourne household of four people uses approximately 240,000 litres of drinking water each year. Simple design decisions can reduce consumption of drinking water and help to conserve Victoria's precious water resources. Locate hot water units close to the point of use to reduce heat loss through pipes. Locate wet areas and kitchens adjacent to each other and the hot water unit. Other alternative sources of water such as greywater. Using an alternative source of water such as greywater to water plants while they are being established and for ongoing maintenance. Points are allocated by the water calculator based upon an estimated reduction in total water consumption due to efficient fixtures and appliances. Refer to the Water Efficiency Labelling Scheme (WELS) to select fixtures and appliances or confirm the WELS rating for each item. Notation regarding water efficient fixtures and appliances to be included on drawings. Points are allocated by the water calculator based upon an estimated reduction in potable (mains) water consumption due to rainwater collection and re-use. Design to allow for on-site harvesting and re-use of rainwater. Drawings indicating rainwater tank(s), drawn at the correct size and labeled as connected to (X) number of toilets, irrigation or other re-use opportunities. Roof catchment area identified on plans. Points are allocated for the inclusion of water efficient landscaping in the proposal. Points are allocated by the water calculator based upon an estimated reduction in potable (mains) water consumption due to the recycling of water used for fire testing. Location of fire test system water tank specified on the floor plans including tank capacity and intended re-use. Up to 40 per cent of the world's energy resources are used in buildings. Good building design decreases power consumption, saves money and reduces the effects of climate change. On the other hand, poor building design is uneconomical and contributes to greenhouse gas emissions. In the energy category, BESS awards points for passive design and energy efficient services and appliances that deliver energy savings above a benchmark building. The benchmark building is based on minimum standards with the Building Code of Australia. Applicants have some flexibility for achieving points, through either pursuing improvements to the building shell (passive design) and/or mechanical electrical system components. Onsite renewable energy generation can assist to reaching higher performance standards, or offset energy consumption of buildings with average performing building shell or appliances. BESS includes an in-built energy calculator for residential developments. In the 'Dwelling Profile' section, enter information about the NatHERS rating and various appliance types, and the calculator will determine whether you have achieved points in the subsequent Energy credits. For non-residential developments, you can opt to use the Deemed to Satisfy (DtS) method (<1000sqm) or provide your own calculations for Energy credits 1.1, 2.1, 2.2, 2.3, 2.4, 3.2. Under the Deemed to Satisfy approach, if the user answers “Yes” to ALL the following questions, then points are awarded for the energy credits shown above. Do all facades demonstrate a min 10% improvement in required NCC insulation level (total R-value upwards and downwards)? Does all glazing meet a 10% improvement in required NCC glazing calculator (or better than 90% of total allowance)? Are heating and cooling systems within one star of the best available, or coefficient of performance (CoP) / Energy Efficiency Ratio (EER) 85% or better than the most efficient equivalent capacity unit? Are water heating systems within one star of the best available, or 85% or better than the most efficient equivalent capacity unit? For large non-residential projects, preliminary modelling is required to demonstrate that energy credits have been achieved. Preliminary modelling must meet all the requirements under Verification Methods, Section JV3 of the National Construction Code Volume 1. Non-residential projects under 1000 sqm can choose to undertake modelling if desired. For residential projects, preliminary modelling is expected wherever a claim is made that the dwelling will exceed the minimum requirements under the National Construction Code. For the purposes of sampling, dwellings can be grouped where they share similar thermal properties. Any sample of dwellings should be representative and allow a weighted average result to be calculated. BESS allows this to be set up on the Project Details Page by entering each sample along with the number of dwellings in that thermally similar group. Alternatively, a weighted average can be taken for groups of dwellings that share the same exposure characteristics. The total number of dwellings entered in BESS must always equal the number of dwellings in the development. To reduce reliance on mechanical systems to achieve thermal comfort in summer and winter - improving comfort, reducing greenhouse gas emissions, energy consumption, and maintenance costs. If using the DtS method, provide your insulation specifications (R-values), preliminary glazing calculation, heating and cooling system type and CoP/EER, and water heating system details. If you are providing your own energy modelling, provide your model assumptions and results. Points are awarded when greenhouse gas emissions are >10% below the benchmark, as calculated by the in-built calculator or demonstrated via alternative modelling. The calculation uses both building fabric and building services inputs. Points are awarded when the instantaneous (peak-hour) cooling demand been reduced by >25%, as calculated by the in-built calculator or demonstrated via alternative modelling. Peak demand is calculated based on the NatHERS cooling load figure. Reducing cooling loads (via measures such as improved insulation, glazing and shading) will deliver an improvement in the peak cooling demand. Points are awarded when the annual electricity consumption is >10% below the benchmark, as calculated by the in-built calculator or demonstrated via alternative modelling. The calculation uses both building fabric and building services inputs. Points are awarded when the annual gas consumption is >10% below the benchmark, as calculated by the in-built calculator or demonstrated via alternative modelling. If no gas appliances are in use then this credit is 'N/A' and is automatically scoped out. Points are awarded when the annual wood consumption is >10% below the benchmark, as calculated by the in-built calculator or demonstrated via alternative modelling. If no wood appliances are in use then this credit is 'N/A' and is automatically scoped out. To ensure the efficient use of energy, reduce total operating greenhouse gas emissions and to reduce energy peak demand. If the development does not have a sheltered car park then this credit is 'Not applicable' and should be scoped out. Provide a written explanation of either the fully natural ventilation or carbon monoxide monitoring, describing how these systems will work what specifications are required for them to be fully integrated and who is responsible for their implementation throughout the design, procurement and operational phases of the buildings life. Points are awarded when the hot water system energy consumption is >10% below the benchmark, as calculated by the in-built calculator or demonstrated via alternative modelling. Points are awarded when the operation of the external lighting is controlled by a motion detector. Where there are multiple external lights, at least 50% must be connected. Points are awarded when clothes drying energy consumption is >10% below the benchmark (due to a combination of clothes lines and efficient mechanical driers), as calculated by the in-built calculator or demonstrated via alternative modelling. Points are awarded when the maximum illumination power density is 4W/sqm or less, which represents a 20% improvement on the current NCC requirements. Provide a written description of the average lighting power density to be installed in the development and specify the lighting type(s) that will be used. Location of the Combined Heat and Power system as described. Report including details of the Combined Heat and Power system and energy calculations. Points are awarded when the solar power system provides 5% of the building's energy consumption. Points are awarded when another form of renewable energy (not solar) provides 5% of the building's energy consumption. Melbourne's continued urbanisation and expansion has resulted in a dramatic increase in areas of hard and impervious surfaces, such as buildings, roads and car parks. Designing buildings to reduce stormwater runoff improves the quality of our waterways. Points are awarded when a STORM rating of at least 100% or equivalent modelling results (e.g. MUSIC *) has been achieved. *Consult with the relevant council to determine which tool is most appropriate for your development. Australians spend on average 90 percent of their time indoors, therefore the quality of the indoor environment is vital to our health and wellbeing. Building design and material choices impact on indoor environment quality and are considered during the early design stages, making IEQ a core category of BESS. Design for IEQ will also deliver other benefits such as reduced energy use for heating, cooling and lighting. For multi unit residential developments, you can opt to use the Deemed to Satisfy (DtS) method, the built in calculator or provide your own calculations for IEQ credits 1.1, 1.2 and 1.3. Satisfying these criteria earns full points for these credits. Under the DtS method there is no partial compliance. If you cannot meet the Deemed to Satisfy criteria, it may still be possible to achieve daylight credit points by using the BESS built-in daylight calculator, or by providing your own daylight modelling. Are all living areas and bedrooms less than 8m deep (5m if south facing)? Do all living areas and bedrooms have a floor-to-ceiling height of at least 2.7m? Does all glazing to living areas achieve at least 60% Visible Light Transmittance (VLT)? Do all living areas have an external facing window (not into a courtyard, light well or other major obstruction)? Does the building(s) comply with all of the requirements of the building separation tables? 1. Building separation is not required to the side or rear boundary where no outlook is proposed provided it does not affect the reasonable development opportunity of the adjoining site. 2. Zero building separation applies on sites where a continuous street wall is encouraged under the relevant place based planning controls. 3. 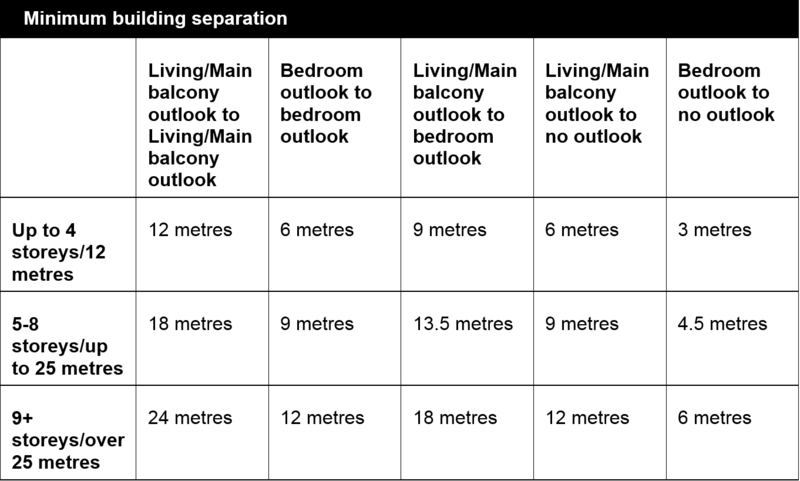 Where existing dwellings have not incorporated access to daylight to habitable rooms on their own site in accordance with the building separation standards, the building separation standards will only apply to new development to the extent necessary to achieve comparable contribution (from a minimum of 1 metre and a maximum of 3 metres) of daylight into the habitable rooms of the proposed dwellings. 2. The minimum area and dimension must be achieved for the entire depth of the light well. For multi unit residential developments, you can opt to use thebuilt in calculators for IEQ credits 1.1, 1.2 and 1.3. Visual Light Transmission (VLT) for all glazing modelled. A 3d view to indicate that the adjoining developments have been modelled. Plan views of the assessed apartment that graphically show the extent of daylight penetration to the apartment which will support the stated figures. To provide a high level of amenity and energy efficiency through design for natural light. Points are awarded where at least 80% of the total number of living rooms achieve a daylight factor greater than 1% to 90% of the floor area of each living area, including kitchens. Additional points are awarded where 100% of dwellings comply. This can be demonstrated by using the in-built BESS daylight calculator or by alternative daylight modelling where the alternative methodology is accepted by Council. A short report detailing assumptions used and results achieved. Daylight modelling using third party software may be more appropriate than the BESS daylight calculator where neighbouring properties are too close to allow for vertical sky angle to be calculated. Lightly coloured materials will improve reflectivity. Consider using lightly coloured materials surfaces near windows, such as window sills and jambs. Specify glazing with high Visual Light Transmittance (VLT) and combine this with shading systems such as blinds, overhangs or retractable awnings, rather than using heavily tinted glass. Points are awarded where at least 80% of the total number of bedrooms achieve a daylight factor greater than 0.5% to 90% of the floor area in each room. Additional points are awarded where 100% of dwellings comply. This can be demonstrated by using the in-built BESS daylight calculator or by alternative daylight modelling where the alternative methodology is accepted by Council. To provide a high level of amenity and reduce need for artificial heating in winter. Points are awarded where at least 70% of dwellings receive at least 3 hours of direct sunlight in all Living areas between 9am and 3pm in mid-winter. This can be demonstrated by using the in-built BESS daylight calculator or by alternative daylight modelling where the alternative methodology is accepted by Council. Ensure that winter and summer needs are balanced by providing shading that allows winter sunlight but blocks summer sun. Points are awarded where it can be demonstrated by daylight modelling that >30% of the nominated area achieves a daylight factor of at least 2%. Additional points are awarded where it is shown that >60% or >90% of the floor area achieves this daylight factor. To claim this credit, you must use daylight modelling software to show the % of floor area achieving the target daylight factor, assuming a uniform design sky of 10,000 lux. Before undertaking daylight modelling, use rules of thumb to check whether the daylight factor is likely to be achieved. To achieve a 2% daylight factor, maximum room depth is approximately three times the window head height (i.e. a room depth more than 7-10 meters is unlikely to meet the daylight factor). To provide a high level of amenity and energy efficiency through design for natural light and ventilation. Points are awarded where at least 90% of bedrooms have an external window. The provision of sliding walls to internal bedrooms is not sufficient to demonstrate access to an external window. Internal bedrooms with sliding walls are considered to be borrowed light bedrooms. Floorplans with compliant bedrooms marked, or a list of bedrooms that comply. To provide fresh air and passive cooling opportunities. A breeze path between 2 ventilation openings either within the room or from one room to another. Breeze path length less than 15m measured between ventilation openings and around internal walls, obstructions & partitions. Ventilation openings located either in opposite or adjacent external walls or an external wall and an operable skylight. No more than 1 doorway or opening <2m² between the ventilation openings. Where the breeze path travels through an internal door, that door must be provided with door catches. 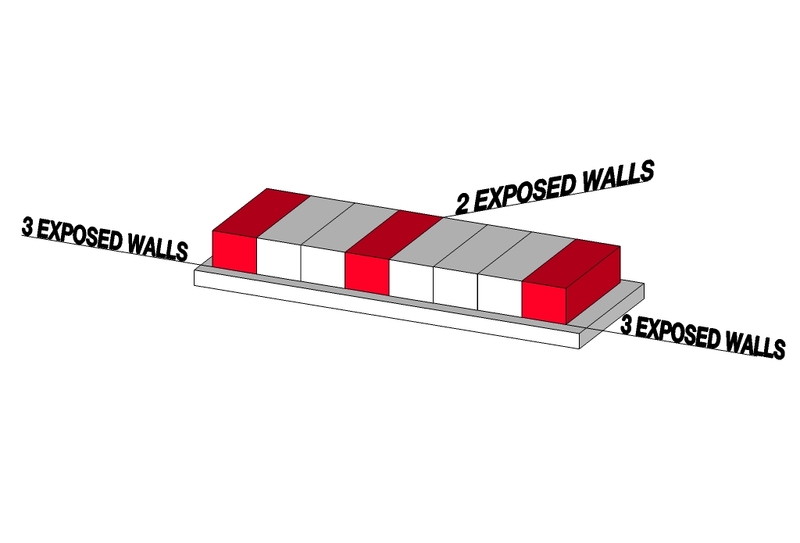 If on adjacent walls, ventilation openings must be at least 3m apart at their closest point. This is to ensure the space has reasonable ventilation throughout and not just in one corner. Maximum permissible depth of room 5m. Separated openings high and low or split across the width of the room/facade, each 5% of the floor area are preferred. Floorplans with compliant dwellings marked, or a list of dwellings that comply. Points are awarded where double glazing (or better) is used for all living areas (including kitchens) and bedroom windows. Consider the window frame as well as the glass type. 'Thermally broken' window frames (available in timber or aluminium) reduce heat transfer through the frame itself. A preliminary building energy rating (NatHERS / FirstRate5 assessment) will help you optimise your design for passive heating and cooling. Points are awarded where appropriate external shading is provided to east, west and north facing living area and bedroom windows. Reference to floor plans and elevations showing shading devices. Fixed external shading to north facing glazing, such as overhanging eaves, can reduce excessive heat gain in summer while allowing warming winter sun to reach the glazing. As a rule of thumb eaves width should measure 45% of the height from the window sill and the bottom of the eaves. A preliminary building energy rating (NatHERS / FirstRate5 assessment) will help you optimise your design for passive heating and cooling. A Cooling Load of 23MJ/m2 or below is a good benchmark to ensure you have optimised windows and shading systems for passive cooling (in Victorian climates). A variety of shading options are suitable for east and west facing glazing, including verticle shading structures such as adjustable louvres, as well as sliding screens, pergolas and roof overhangs, awnings and verandas. A preliminary building energy rating (NatHERS / FirstRate5 assessment) will help you optimise your design for passive heating and cooling. A Cooling Load of 23MJ/m2 or below is a good benchmark to ensure you have optimised windows and shading systems for passive cooling (in Victorian climates). To provide comfortable indoor spaces and reduce energy needed for heating and cooling. Orientating living areas to the north provides the best opportunity for passive heating. Points are awarded where living areas have been orientated to the north. 'North' includes 20°W–30°E of true (or solar) north. You can select 'Yes' for this action where you have used clerestory windows to get northern sun penetration into living areas. Reference to floor plans showing living areas orientated to the north. For any north facing window, consider sun and heat penetration in both summer and winter. Use shading systems that will allow winter sun penetration and shade windows during the hot summer months. In Australia, cars account for approximately 50 percent of our total transport greenhouse gas emissions. The other half includes emissions from trucks, buses, aviation, railways and shipping. In addition to contributing to global warming, car exhaust contains toxic pollutants that are dangerous to our health. As the population of cities increases so does traffic congestion, further multiplying the amount of exhaust pollutants and greenhouse gas emissions in our air. Simple design decisions can influence ways in which our reliance on cars can be reduced and can also incorporate alternative forms of transport into your building design. Walkability – Is your site pedestrian friendly? Is your site within close proximity to public transport? Points are awarded when at least 1 secure bicycle space is provided per dwelling. The number of parking spaces required to claim points is displayed within the tool. Bicycle parking should be visible, accessible and convenient for residents, with a clear path of travel from the building entrance and including wayfaring signage when bicycle parking is located in a central room or cage. This credit is not available for mounted bicycle parking above car bonnets due to access difficulties when a car is parked in the space. Additional points are available under a separate credit where bicycle parking is located at ground level for the convenience of residents. A secure bicycle parking storage space per apartment has been indicated on the floor plans indicating with notations what storage system rack will be adopted and what areas need to be allowed for clearance and access to the racks. The overall number of spaces should also be notated. Points are awarded when at least 1 visitor bicycle parking space is provided for every 4 dwellings. The number of parking spaces required to claim points is displayed within the tool. Visitor parking should be located near site entrances. Bicycle parking spaces are indicated on the floor plans, including which rack system will be adopted and what areas need to be allowed for clearance and access to the racks. The overall number of spaces should also be notated. This credit is available as additional points where the residential bicycle parking credit has been achieved, and these parking spaces are located at ground level for the convenience of residents. Bicycle parking located on mounted racks above car bonnets is not classified as convenient, due to access difficulties when a car is parked in the space. To minimise car dependency and to ensure that the built environment is designed to promote the use of public transport, walking and cycling. Points are awarded when a proposal achieves the bicycle parking credits for non-residential developments and provide accessible showers (1 per 10 bicycles spaces), changing facilities adjacent to showers and one secure locker per bicycle space in the changing facilities. Accessible showers that are within 100 metres of the building entry at a rate of 1 per 10 bicycle spaces which are located within the change facilities and are notated to dispense hot and cold water and have efficient fixtures as compliant with the water efficiency section of this tool. Change facilities adjacent to showers which include a wash basin with efficient fixtures as compliant with the water efficiency section of this tool, a bench, and are notated to include a hook, mirror and general power outlet. All development, including residential and non residential. Points are be awarded when facilities are provided for the charging of electric vehicles. At a minimum, one parking space should be nominated for electric vehicle charging, with appropriate signage and charging infrastructure installed. If your development does not have any parking then this credit is N/A and can be scoped out. Site or floor plans indicating location of designated electric vehicle parking bay(s) and location of charging infrastructure. Multi-residential development of more than 10 dwellings and non-residential developments of more than 1000m². Points are awarded when a formal car sharing scheme is integrated into the development. This credit can be scoped out in locations where car share schemes are not yet economically feasible. Site or floor plans indicating designated car share vehicle space(s). Up to 40 per cent of the waste going to Australia’s landfills is related to the construction and demolition of buildings. Simple design decisions can influence the amount of construction waste being produced and operational waste streams being separated. Even more waste is produced during the occupancy phase of buildings. Poor waste practices and treatment of the environment in the past have not only lead to a degradation of our water, air and land resources but also represent a big financial burden to current and future generations. In the Waste category, BESS includes actions regarding building re-use, food & garden waste and convenience of recycling. Points are awarded when the development is on a site that has been previously developed and at least 30% of the existing building been re-used. If your site has not been previously developed, then this credit is not applicable and should be scoped out. Site and floor plans showing the total existing building area prior to any changes and the existing retained area in the new proposal. Provide calculations that demonstrate the percentage of the existing building being retained. Points are awarded when it is demonstrated that facilities will be provided for on-site management of food and garden waste. Using site plans, identify proposed site uses, such as food and beverage tenancies, domestic kitchens or garden areas, which may generate high levels of organic waste, and identify areas on the site for storage of organic waste. Details of the organic waste system and who will be responsible for its implementation and management. To ensure waste avoidance, reuse and recycling during the operational life of the building. Points are awarded where it is demonstrated that recycling facilities are as conveniently located as those for general waste. Floor plans showing the location of separate waste and recycling chutes in multi storey developments. In highly urbanised environments, it is important to maintain and enhance the health of our urban ecosystems, not only for local flora and fauna but also for ourselves. There is much we can do in our metropolitan areas to overcome the loss of natural processes and improve liveability for people, flora and fauna. One of the easiest actions involves decreasing the areas of hard or impervious surfaces and at the same time increasing vegetation and landscaping. Research indicates that landscaping in metropolitan environments can reduce air conditioning costs by up to 50%, just by providing shading. What's more, green spaces in cities have been closely linked with improved physical, social and mental well-being. In the Urban Ecology category, BESS includes actions regarding communal spaces, vegetation, food production and green walls, roofs & facades. To encourage and recognise initiatives that facilitate interaction between building occupants. Communal spaces are places where people gather for social exchange. They can be outdoors or indoors, and can include rooftop gardens, communal courtyards with seating and bbq facilities, gyms, community rooms for use and hire within the building and other spaces where people can gather. Site and/or floor plan showing the amount of common space. The floor plan drawings highlighting communal space area and calculations of size. To encourage the appropriate use of green roofs, walls and facades to mitigate the impact of the urban heat island effect. Site plans showing the green roof area. Preliminary investigation into plant selection, substrate materials and structural support required. Points are awarded when a green wall or façade is included in the development. Site plans showing the green wall or facade area. Points are awarded where all balconies and courtyards have a water supply (tap) and a wastewater connection (drain). Site and/or floor plans showing water supply and drainage points. Applicants are encouraged to consider additional strategies such as built in garden beds to encourage gardening. Points are awarded when there is at least 0.25m2 of space per resident dedicated to food production. An estimate of the number of residents is calculated within the tool based on the number of dwellings and the number of bedrooms within each dwelling. Site and/or floor plans showing the amount of area dedicated to food production (make reference to town planning drawing numbers). Points are awarded when there is at least 0.25m2 of space per occupant dedicated to food production. An estimate of the number of occupants is calculated within the tool based on the National Construction Code (NCC) Australian Standard 1668.2 - see the Tool Notes Overview section for occupancy rates. Site and/or floor plans showing the amount of area dedicated to food production. The objective of the Innovation category is to encourage design features and technologies that are not recognised elsewhere within BESS because they are new to Victoria, or because they go well beyond the best practice standard in BESS. Up to 10 points are available, made up of individual actions worth either 1 or 2 points. As the user, self-nominate whether you think your innovation action qualifies for 1 or 2 points. Actions nominated for 2 points must demonstrate multiple social and/or environmental benefits. Final points awarded are at the discretion of the assessing officer at your Council. Innovation points will not be awarded for actions covered elsewhere in BESS unless it can be demonstrated that the action goes well beyond the best practice standard in BESS. Review all sustainable development initiatives relating to the design, construction and operation of the proposed development. Determine whether any of the initiatives proposed are design features or technologies that deliver an improved environmental performance. Determine whether the design feature or technology is new or not commonly applied in Victoria. If not, is it “innovative” in another way? Prepare a synopsis of the proposed design feature or technology, including how it is innovative in relation to its introduction to the built environment in Victoria, what the social and/or environmental benefit is and a measure of the benefit if applicable. BESS is a sustainable design assessment tool for buildings at the planning permit stage. BESS supports the ‘Sustainable Design Assessment in the Planning Process’ framework. In many Victorian councils, planning permit applicants are asked to submit information about how their proposed development addresses sustainability, either as a Sustainable Design Assessment (SDA, for small scale developments) or Sustainability Management Plan (SMP, for large scale developments). BESS can be used to prepare these submissions. The triggers for an SDA or SMP, and the definition of small and large scale, is set by each individual SDAPP Council based on the development context in their area. Check your local council’s website for more information. The BESS interface is dynamic – the questions you are asked and the information you must provide are tailored to the size and type of your development. This means that your experience using BESS will be quite different if you are using it to assess a single home or renovation compared with a large mixed-use development (such as an apartment complex with retail and office space). If you’re a first time user, the first step is to register your details and create an account. Your BESS account will store all historical projects for your access at any time. Note that BESS does not currently support company accounts. Once logged in, you land on the ‘Projects’ page. From here you can select ‘New Project’. The details you enter here will determine which questions and credits are applicable for your project. Once you have selected the site type, you will be asked to input the number of dwellings and non-residential spaces, as applicable to your project. For residential projects, dwellings should be grouped according to the thermally similar properties of the dwellings. 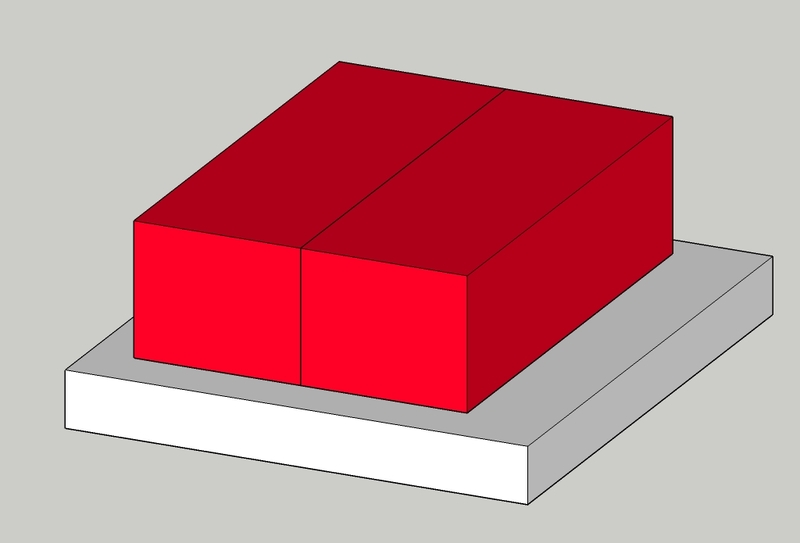 An example of thermally similar groupings is provided in the images here. For each thermally similar group, input the number of dwellings in that group. BESS assesses projects against a benchmark in nine environmental categories. Within the tool, each category contains a number of credits relating to that environmental issue. Each credit contributes points toward the total score of that category. These categories are consistent with the environmental objectives in the Environmentally Sustainable Development Local Planning Policies. Credits contribute points toward the category score and the overall project score. Credits may be as simple as a Yes/No question, may require simple numerical input, or may be calculated based on a number of inputs (profiling questions). For mixed use developments, credits may be applicable to the whole project, or to one or more building classes within the project. Profiling questions are not credits – they are used for calculations that feed into credits. For example, the Energy category includes a number of profiling questions that are used to determine if the project has met a number of credits below (including GHG emissions, electricity use, hot water energy consumption etc). You can 'scope out' questions or credits that do not apply to their your development. A development that doesn't have any exterior lighting can respond "Scope Out" to the question in Energy 3.3 "Is the operation of the external lighting controlled by either a daylight sensor?" When you select "Scope Out", you must provide an explanation why the credit is not applicable to your project. Once a credit is scoped out, these points are removed from the available points for that category. It’s important to note that the total number of points available across the tool will also reduce when selecting "Scope Out", which can serve to reduce the options available for a development to demonstrate best practice and pass the tool overall. This is an optional field that can be utilised for any credit. The annotate field can be used to add any additional information or notes. These will appear in the final report. BESS assesses projects against a benchmark in 9 environmental categories. Within each category, points are available for various design strategies relevant to that category. Available points vary depending on the type of development. Different development types will require different information inputs, suitable to the scale and typology of the development. The overall BESS score is shown as a percentage figure. This figure represents a percentage improvement over a benchmark project. The benchmark project is created from the project information inputted into BESS by the user, and is based on minimum National Construction Code and Minimum Energy Performance Standards. The final BESS overall score is determined by the category scores, factoring in the weighting of each category. ‘Best practice’ is defined within BESS as an overall score of 50% or above. ‘Excellence’ is defined within BESS as an overall score of 70% or above. The minimum scores in the mandatory categories were developed with careful consideration to existing industry based standards. These minimum scores are intended to demonstrate best practice and complement the current ESD Policy Amendment and the SDAPP Fact Sheets. The rationale behind this is to maintain the flexibility within the tool while also driving users toward an improved outcome in these traditionally ‘core’ sustainability categories. Also, the other categories (Transport, Waste, Urban Ecology & Management) within the tool have a limited number of credits available, and are more likely to contain credits that are not universally applicable. For mixed-use developments, BESS applies an area weighting to determine the relative contribution of each building class to the overall project score. These category weightings are based on a review of other built environment assessment tools, such as Green Star, consideration of potential environmental impact (including longevity), opportunities for improving the standard of the environmental impacts and overall ESD performance standard. Once you have completed the category pages and are ready to finalise your report, use the 'Review and submit' button to view a preview of your results. The report contains a complete set of all data entered, so that it can be printed and endorsed as part of a planning permit. How did this development perform in each Environmental Category? This graph shows the score achieved in each category relative to the total points available. It also shows the relative weightings of each category. This graph provides can help you understand which categories to target in order to improve your score. How does each component of the building perform? This section of the report contains a summary of all data entered within the tool. Expand each section to view the detail. This section of the report provides a summary of items that must be marked on the floorplans, based on the information you have entered in the tool. You must provide a drawing reference for each item to verify this. Floorplans SHOULD NOT be uploaded to BESS. This section provides a summary of other evidence (attachments) you must provide, based on the information you have entered in the tool. You have the option of either uploading a digital version, or nominating that you will submit a printed version. Once a document is uploaded to BESS, you can use this as evidence for multiple credits. Please provide a page reference if relevant (i.e. for longer reports). Once you are satisfied and ready to submit your report, select 'Finalise Report' (in the top right corner). Finalised reports are locked to editing. Print your report to pdf for submission to Council with your other planning permit documentation. You may need to make changes after finalising your report. If this is the case, you should copy your report to a new version. Do this under the Projects tab. Occupancy rates for different building types are built into the tool. These are used for the energy and water calculations, and in the Urban Ecology section for the food production credit. Occupant density for non-residential dwellings is informed by the National Construction Code and AS1668.2 (Mechanical Ventilation of Buildings). For residential buildings, the occupancy formula is derived from the floor area. Less than 38.6 sqm, occupancy is assumed to be 1. Over 587.5 sqm, occupancy is 5 people. In between these values a logarithmic formula is used. The formula is Occupancy = 1.471271*LN(Area)-4.375381. Subscriber Councils can search and view all submitted BESS assessments within their municipal boundary. This feature is not available to general users. If you are a Council subscriber and need help with this feature please Contact Us. An apartment or tenancy is considered to be effectively metered where domestic water, electricity, gas (if provided), and hot water flow (where centralised) metering is installed. Also known as the winter solstice, which marks the shortest day (and longest night) of the year. Usually occurs on June 21 each year, but can occur between June 20 - 22. An in-home display lets you see what you’re using and spending on energy and to view by energy used. The amount of light falling on surface, measured in lux. The illuminance at a given point depends on the colour and reflectance of the surfaces that surround it. Surfaces which prevent the infiltration of stormwater runoff. May include roofs, paving, and driveways. The angle in the horizontal plane between the centre of glass of the external window to adjacent obstructions (balconies, neighbouring buildings (existing, proposed, structure plans, whichever is most relevant). Xeriscape landscapes reduce or eliminate the need for water from irrigation. JV3 is a modelling approach for non-residential buildings to meeting Section J requirements of the Building Code of Australia (BCA). Clerestory windows are any high windows above eye level. Clerestory windows can be an effective way to bring light and ventilation into a space. An Architect or Engineer or similar who has qualifications in relevant tools (e.g. BESS, Greenstar, First Rate, AccuRate) and relevant experience in providing sustainable design advice to the development industry. An ESD professional will commonly have either an architectural or engineering degree and experience with Sustainable Design Assessment in the Planning Process. May include rainwater or detention tanks, raingardens, vegetated swales, infiltration systems, or a combination. 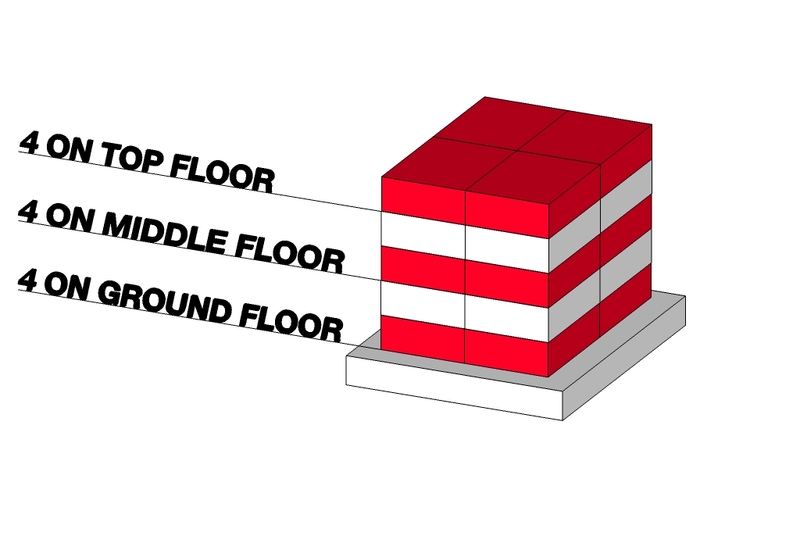 Gross Floor Area is calculated from the outside line of walls on floor plans and are typically measured in metres squared (m²). In this context, floor waste means a wastewater connection on the balcony. The angle in the vertical plane between the centre of glass of the external window to adjacent obstructions (balconies, neighbouring buildings (existing, proposed, structure plans, whichever is most relevant). What is above the ceiling of the dwelling in question? If more than one answer applies, choose the answer that covers the largest proportion of the ceiling area. This input is used in the estimation of energy consumption from NatHERS star rating inputs. Includes lounge rooms and kitchens but excludes bedrooms, studies, bathrooms, laundry. A group of apartments is considered thermally similar based on the following properties: Floor plan type, extent of shared walls, floors and ceilings, orientation, height - exposure to wind changes as height changes, most significant changes occur at 3 storeys and 10 storeys. A thermally similar group could contain as little as two dwellings. Unobstructed sunlight that penetrates the living room space by at least 1m at any time during the day. A green wall is comprised of plants grown in supported vertical systems that are generally attached to an internal or external wall, although in some cases can be freestanding. Smart meters capture energy usage information in 15min or 30min intervals and can transfer this data to the building user enabling them to make more informed choices about energy use. An artificial sky, used for daylight modelling that is uniformly bright. The commonly accepted uniform design sky is 10,000 lux for many parts of Australia. Places where people gather for social exchange. They can be outdoors or indoors. Indoor spaces include halls and theatres and must be readily identifiable on building plans. This assessment tool favours outdoor places because they tend to be neglected in planning for functional communities. Any design strategies that have been employed to use the natural climatic conditions of the site in question to achieve thermally comfortable internal spaces. Usually includes consideration of ventilation, passive heat gain, the use of shading, thermal mass and ventilation among other things. A Building Users’ Guide will provide information designed for building occupants in common language that includes information aimed at communicating how the building can be used to optimise its performance potential. Commonly a Building Users’ Guide will detail operational strategies that can result in minimising energy and water use and waste production. Bicycle spaces are considered secure if access to them has been restricted to only users of the space. For example, lockable bicycle storage cages or rooms which can only be accessed by residents or staff who have applied for bicycle storage. Area of roof from which rainwater can be collected and directed to rainwater storage tanks. A measure of indoor brightness of diffuse daylight within a space. It is defined as the ratio of the luminance of a point in a building to the unobstructed outdoor illuminance under the same sky conditions. It is usually measured at the height of the horizontal work plane. A vegetated landscape built up from a series of layers that are installed on a roof surface as ‘loose laid’ or modular (that is, installed layer by layer on the roof or as pre-prepared layers in trays). Green roofs may also include communal areas for residents / other building users such as productive garden areas, bbq facilities etc. The table below provides typical reflectances of various materials. Some paint manufacturers can provide tested reflectance values for all their paint colors. In the absence of tested information, a rough approximation of the reflectance of a material can be made by using a light meter to compare the amount of light incident on a surface to the amount of light one foot away that is reflected by that surface. Greywater is wastewater from a range of sources including your bath, bathroom basin, laundry and shower. It doesn't include blackwater such as wastewater from toilets. A greywater system enables you to re-use greywater from your home for uses such as toilets and gardens. A green facade is created by growing climbing plants up and across the facade of a building, either from plants grown in garden beds at its base, or by container planting installed at different levels across the building. Size of ventilation openings greater than 2% of total floor area or 1m2, whichever is greater. What is below the floor of the dwelling in question? If more than one answer applies, choose the answer that covers the largest proportion of the ceiling area. This input is used in the estimation of energy consumption from NatHERS star rating inputs. For energy (electricity and gas) these may include: car park lighting, chillers and air handling fans, lifts, common area lighting and power, centralised hot water supply, renewable energy supply. For water these may include: evaporative heat rejection systems, fire system water, irrigation systems, rainwater supply, rainwater make – up tank, swimming pool make-up water, shared laundries, shared bathrooms and car wash facilities. A habitable room that is not a living room, large enough to accommodate a single bed. A study is a habitable room that is not large enough to accommodate a single bed so cannot possibly be used as a bedroom. Alternatively a study could consist of a study nook/space, which could be in the form of a recess or a corner that forms part of a larger room. Internal bedrooms are bedrooms that are located internally on the floor plan with no external glazing. The provision of sliding walls to internal bedrooms is not sufficient to demonstrate access to an external window. Internal bedrooms with sliding walls are considered to be borrowed light bedrooms. Deemed-to-Satisfy provisions are those which meet the performance requirements identified by the BCA Section J for certain building elements. 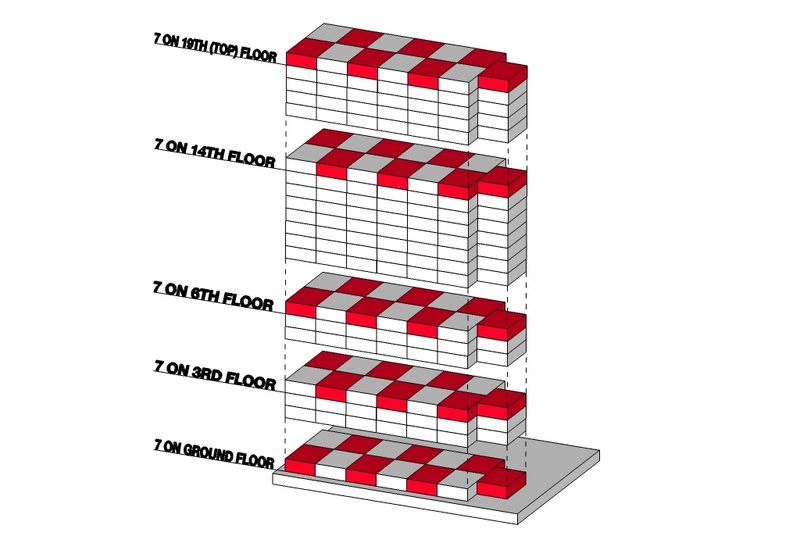 Thermally similar dwellings occur with variation in floor plan type (extent of glazing, shared walls, floors and ceilings), orientation and height (exposure to wind changes as height increases - most significant changes occur at 3 stories and 10 stories). Commonly this would be at least 10% of apartments including 1 apartment per principle orientation and floor, and include apartments located on significant variation to building profile and apartments with higher exposure to ambient conditions.